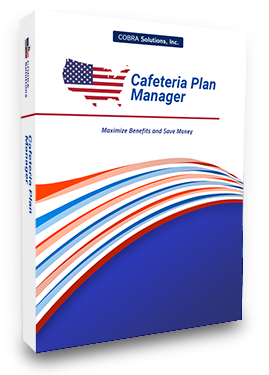 The Software You Need To Stay Compliant Without The Stress. Available in Single Company and Mulit-Company administrating versions. For TPA's we have a customizable web portal that streamlines data entry for your groups. 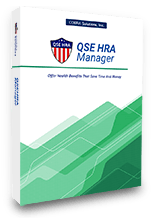 QSE HRA Manager can help you offer flexible healthcare benefits to employees while keeping you compliant with current laws and regulations. 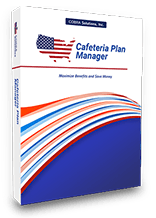 Create and administer a Cafeteria Plan (POP, Health & Dependent Care FSA's) so employees may pre-tax many expenses. With over twenty years of experience in the Employee Benefits software sector, COBRA Solutions is the recognized industry leader and takes great pride in providing our customers with a “security blanket” in terms of support. We strive to give the best technical support and will accept nothing less than 100% success for our software installations. Continued reinvestment in our products, listening to our customers input, and incorporating their ideas sets us apart from our competitors. 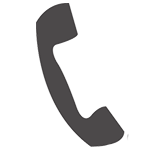 We want you to turn to us first, last and always for all of your COBRA solutions. The COBRA Administration Manager was created in 1991 as the solution to the increased responsibility that employers were experiencing administrating COBRA. 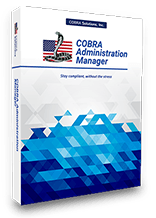 Today, decades later with over 13,000 customers, COBRA Administration Manager has become the industries #1 selling COBRA Administration Program. We’ll use screen sharing to give a first hand look at our software and to answer any questions you may have. 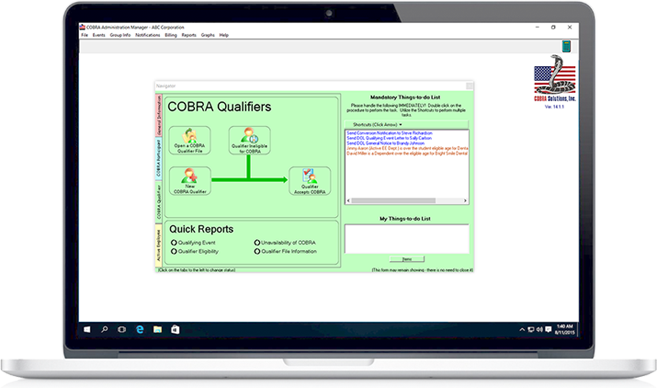 COBRA Companion can streamline data entry. This online portal can be branded for your company and will make it super easy for your employees to enter their info. Download a free 60 day trial of any of our software to see for yourself how valuable and easy to use it is.